You know its spring when everyone starts gearing up for spring sports! 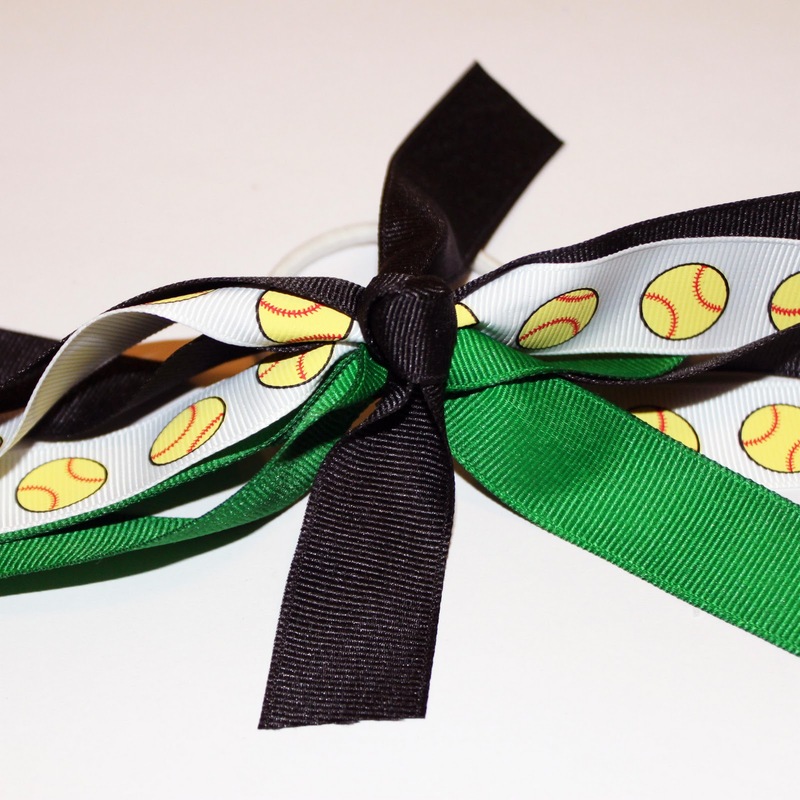 From baseball, fast pitch softball, to soccer or lacrosse these hair bows work for lil' ladies on the fast track. (all available at http://www.allaboutribbon.com/) Most sports require hair accessories to be metal free for safety and these dress up those same old uniforms. Cut your ribbon to your desired length. We didn't heat seal the ends yet but we promise we will before we finish! 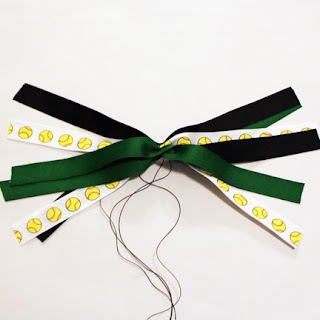 You can vary the width of the ribbon using more than one size. I actually like it better that way because I think it adds more visual interest to the bow. 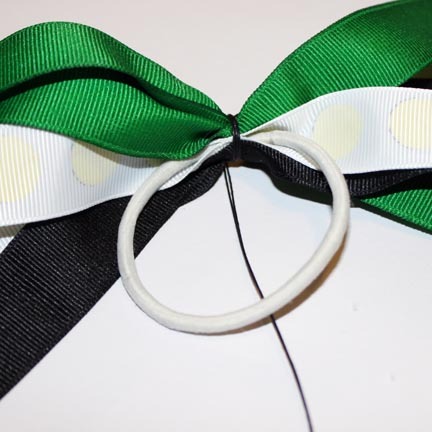 You can use just about anything else in these bows as well so get creative! Line up your strips of ribbon in an order you like. 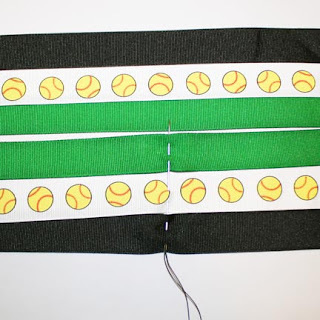 The ribbon strips will all layer on top of each other so the order isn't terribly important. Finding the center of your strips take your needle and start to weave it in and out of the strips in order. Once all your ribbon strips are on your needle and thread, scrunch all of them together and knot. We used upholstery thread and doubled it up for extra super mega hold. 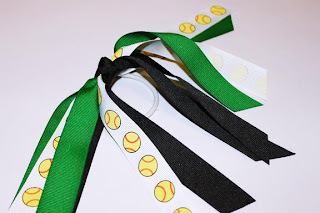 Place your pony o underneath your bunched tied ribbon and then start wrapping it around the ribbon and pony o to bind them together. Secure with a few stitches and cut thread. 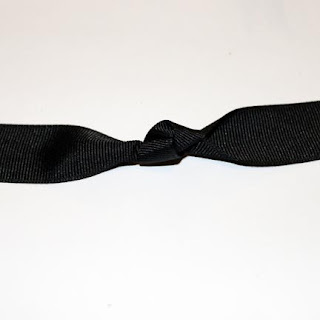 Using a shorter strip of 7/8 ribbon, fold in half lengthwise then knot. Place a glue dot on top of the bow and place the knot there to center. Wrap the ends around the underside, securing with hot glue and heat sealing those ends before securing. 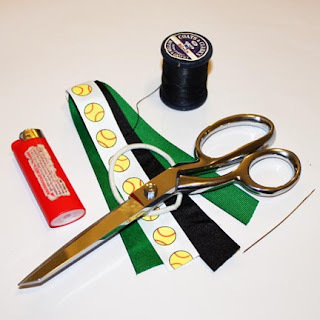 To heat seal, simply run your lighter across the ribbon ends until gloss to prevent any fraying. We're nearly done! To finish hold your pony streamer up and snip the ends and heat seal. 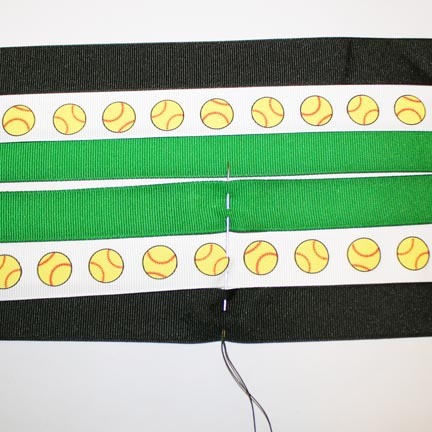 We wait to do this last so we can even up anything that may have gotten slightly off center while sewing. I prefer to do a 45 degree angle and alternate which direction they go for a whimsical look. You can cut them straight across or "v" the ends for a different style. These are fantastic for sporty girls, or ones that are a little hyper that never... ever... stop... moving! So cute! Thank you for sharing your wonderful talent! I look forward every week to your tutorials. Kee the great creations coming!